Each year there comes a day when most of us turn to appreciate our mothers. However, have you wondered how boring these mainstream gifts become over time? Well, they do. Daughters and sons all over the world often get worried about gifting their moms the same old things every single holiday. There is one way you can solve this. DIYs! Yes, we know you might get lazy but hey, it’s worth the effort. 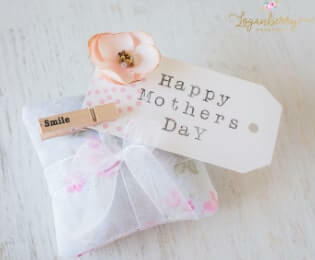 So, without further ado, we’re bringing you fifteen amazing homemade Mother’s Day DIY gift ideas that you can take inspiration from. Does your mother have a favorite flower? Then there is a way you can incorporate that in your gift other than just directly gifting them those flowers in a bouquet. 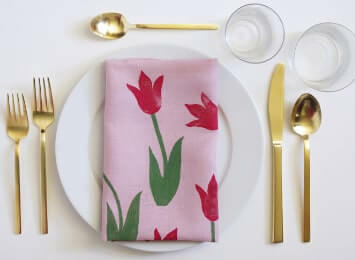 This block printed napkins are really easy to make and you don’t have to be a professional artist to be able to paint the flowers on. Also, if you’re planning a nice lunch with your mother, this is the perfect surprise. You won’t’ even need many tools, just some basic ones that should get you started. 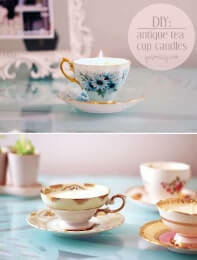 Has your mother ever complained about never using those old vintage cups and saucers she has lying in her showcase? Well, this could be a potential Mother’s Day gift ideas DIY opportunity! What you will be doing is basically transforming that unused vintage cup into a beautiful candle that your mother can actually use. You can make a nice scented one that she can enjoy lighting whenever she needs a little break. 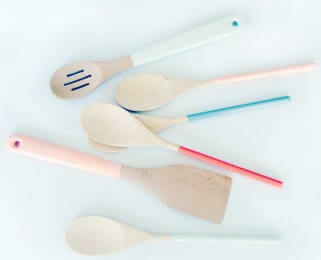 Most mothers look for quality rather than appearance especially when it comes to kitchen utensils. So, this holiday, why not do something to brighten up her cooking duration even more? Instead of getting her colorful utensils that don’t really do the job at the end of the day, you could customize what she already has! This is an easy, one-step DIY gift idea for Mother’s Day. Does your mother love having scented flowers and potpourri in her home? Then she’s definitely going to love these cute little cushions. They are very easy to make and you will only need about two to three items to make them. At the end of it, your mother will receive the cutest pair of cushions with the most amazing scent. Also, you can customize them according to whichever fabric you want to. 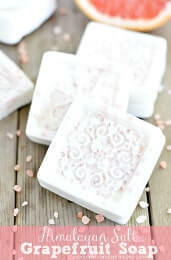 Who doesn’t love homemade scented soaps? They’re adorable and really helpful while unwinding after a stressful day. Making some yourself will give mom even more of encouragement to focus on herself for once. While looking for homemade gift ideas, this might not be the easiest but that makes it even more thoughtful. At the end of it, wrap it in a pretty and chic manner to make it even more special. 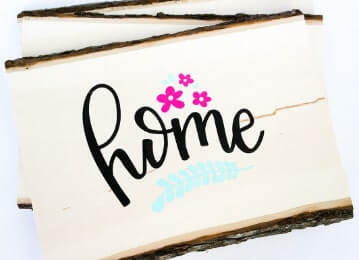 Wooden print signs are great for your mom to hang it around the house and make it much more memorable. The link above will provide you a step-by-step tutorial on how to make this beautiful sign as well some customizable templates that you can use to make it even more professional looking. 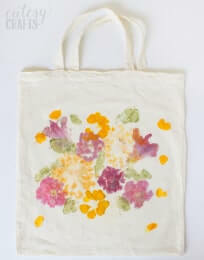 Does your mom happen to need a new tote bag for her grocery shopping or other errands? Well, she’s in for a surprise. These bags are made from actually pounding flowers onto the fabric. This will make it fun for not only the maker, but for the receiver as well. This is a nice addition to last minute gift ideas list. The canvas is used to make beautiful prints that she will love! If you’re looking for first Mother’s Day gifts for a lovely newly become mother, we have something for you. As a new mother, she might need some organizing stuff right away. New mothers are usually in a hustle the first few years and they don’t really have time to sort out their belongings. Make this jewelry organizer for her so she can get her stuff together along with keeping her life stylish at the same time. This is great idea for Mother’s Day gifts for grandma. If you have an elderly woman in the house or even a middle-aged mom, this will make a great gift. 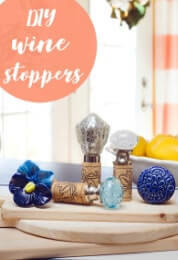 These fancy wine stoppers are extraordinary and will give her even more excitement as she unwinds with a glass of wine. You can make these as personalized as you would like, whether its colors or design. When it comes to personalized Mother’s Day gifts, mugs are the kings. However, they can become an old story over time. Which is why we bring to you a personalized mug that you can amend according to your mother’s taste. 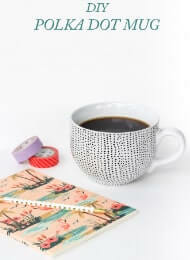 This one in particular is a polka dot mug that is cute, easy and makes a great yet simple gift! 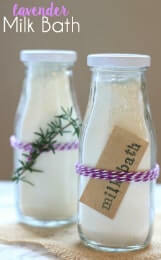 Treat your mother with this relaxing lavender milk bath that makes the ultimate cool Mother’s Day gift. This is a homemade bath that cleanses throughout and will leave your mom glowing just in time for Mother’s Day. The powdered milk included in its ingredients will leave her skin moisturized and it will work with the lavender to create the best combination of moisture and scent. You’d think we’re crazy- But it’s true, you can actually use egg shells to make something productive and beautiful. 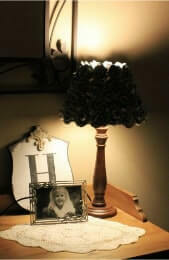 This is a lamp that has shade made with egg shells to create a gorgeous rose design. This DIY may get a little messy, but the result is totally worth it all. Gift this to your mother so she can be shocked to find out that it’s not ready made at all. Also, be prepared to hear her not believe that you actually made it. Are you planning to bake some cookies for your mother? 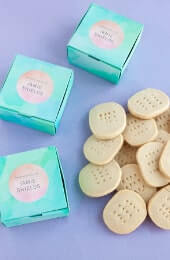 Then why not go an extra mile and make some cute boxes that you can gift them to her with. Packing your cookies with these will give it that extra touch that will definitely be appreciated by your mom. Also, you won’t even need many materials, so get creating! 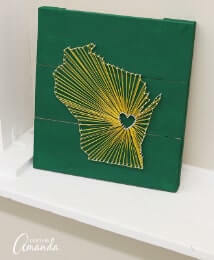 String art has been there for a while now, but it seems that it has been coming up even more lately. If you’re looking for cool Mother’s Day gifts then this card idea will blow your mind. With the step-by-step tutorial, you can master this and customize a card according to your preferences. Although it might take a while, the thought will count at the end of it all. If your mother is into flowers, this may be a better gift than the usual bouquet. 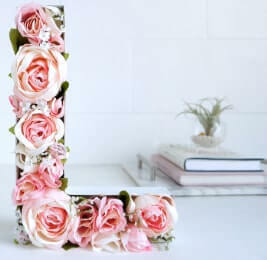 You can stick some fake flowers onto some initials to create and amazing piece for your mother’s home. We’re sure she will cherish this. Now, whether you want to make it a Happy Mother’s Day monogram or not, get creating! There you have it, fifteen amazing DIY ideas for a gift on Mother’s Day. Overall, make sure to be creative. If you genuinely have the thought of giving back to your mom this holiday, the end result will always turn out great. This day might come once a year, but don’t forget to always appreciate her all 365 days of the year! Happy DIY- ing!